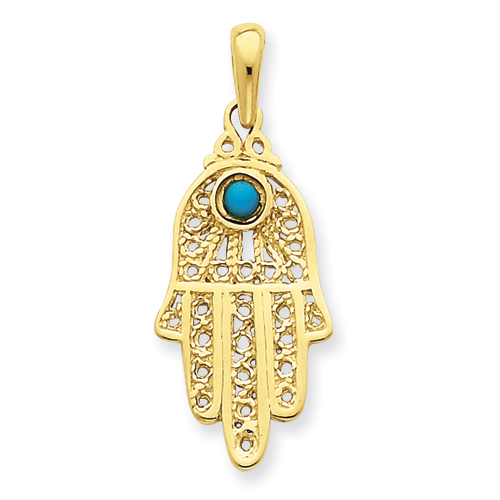 14k yellow gold turquoise filigree chamseh pendant has a polished finish. Weight: 2.48 grams. Item measures 5/8 inch wide by 1 inch tall without loop and bail. Weight: 2.1 grams. Made in USA. Service and delivery was prompt. Very competitive pricing. Will most likely use this company again in the future.